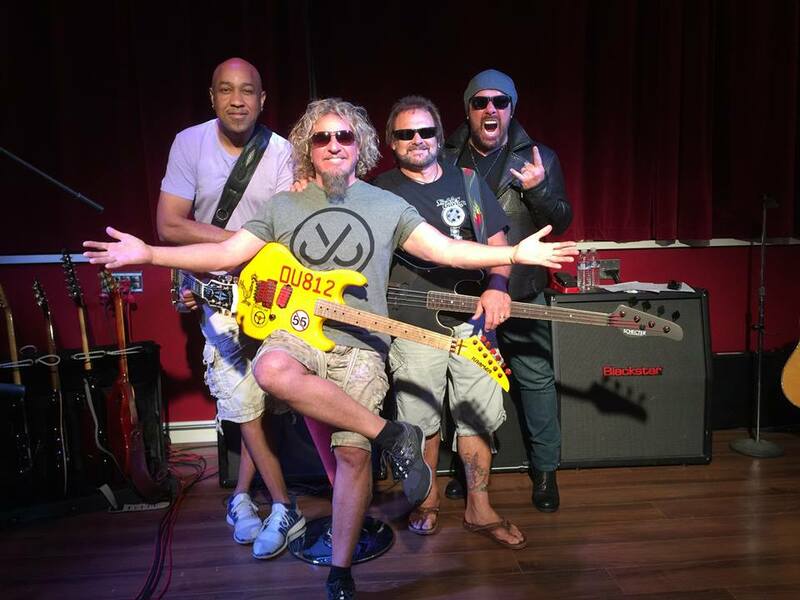 Sammy Hagar has issued a video preview of his summer US tour with supergroup The Circle. The band – which features Hagar, bassist Michael Anthony, drummer Jason Bonham and guitarist Vic Johnson – presents the Red Rocker’s musical history and Bonham’s legacy by performing tunes by Hagar, Van Halen, Montrose and Led Zeppelin. The Circle will launch their summer shows this Friday, June 10 in Tucson, AZ. Formed in 2014, The Circle released their first live DVD, “At Your Service”, last December. Last month, Hagar reunited with Chickenfoot for two reunion shows at Harrah's Lake Tahoe, marking the first time in years that Hagar, Anthony, guitarist Joe Satriani and drummer Chad Smith have regrouped to perform a full show. The lineup debuted a new song, “Divine Termination”, during the reunion events.